Modern night lamps are among the few decorations that you could use to express style and character of your bedroom. Usually, it’s all about the bed and headboard. Lighting is more like jewelry – small but full of statement. 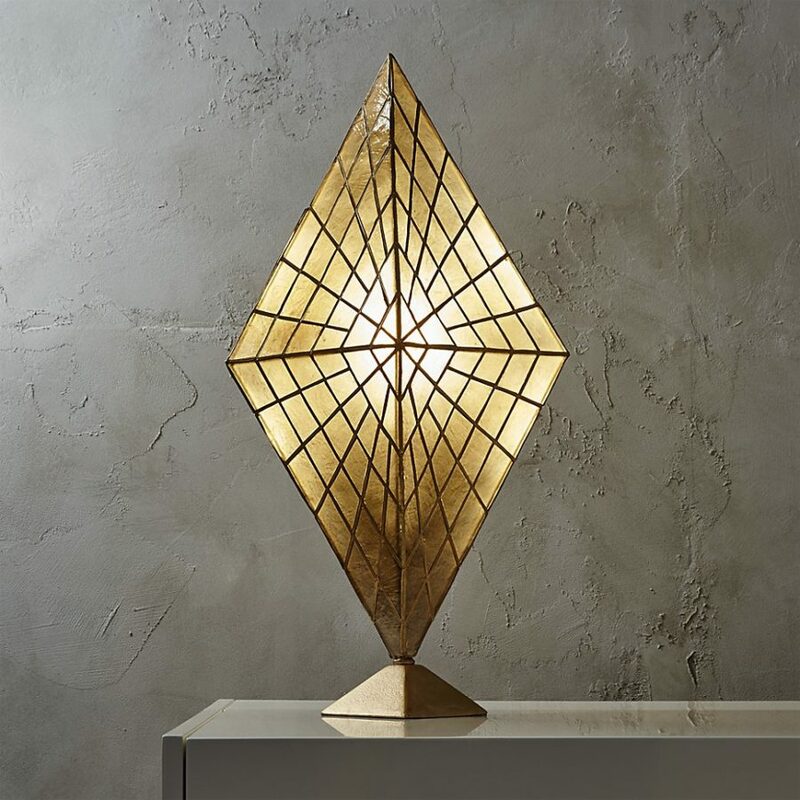 Modern lamps come in a great wider variety of shapes, forms, and designs. 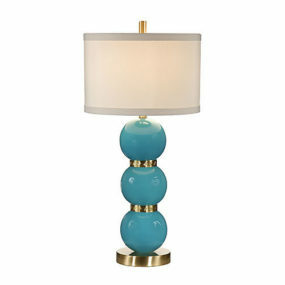 Nightstand lampshades aren’t ruling the ball anymore, although they might look pretty contemporary when reinvented. 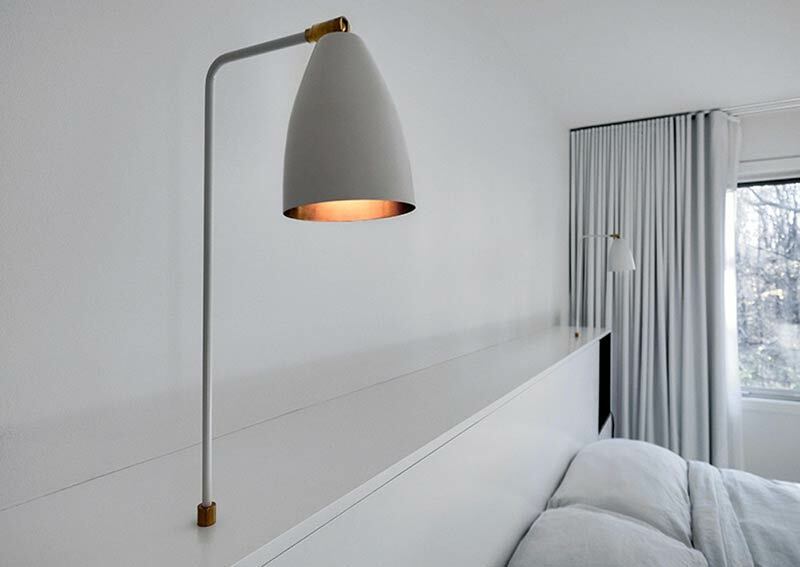 These headboard light are an integral part of bed design in a contemporary home by Appareil Architecture. 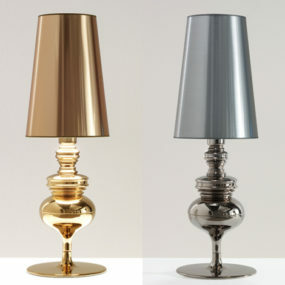 In the same color as the rest of the decor, modest lamps show off a sparkle of copper on the inside of their shade. This type of light isn’t exactly reading-friendly, but you’ll definitely be able to find your way around bedroom during the night without waking anybody. 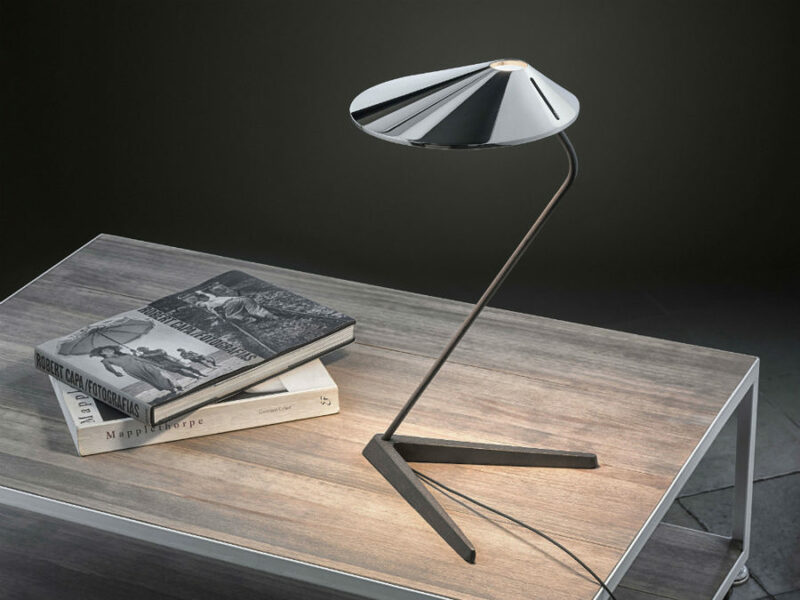 The beauty of the contemporary approach is that bedside lamps may come in all sorts of variations including floor lamps and pendants. 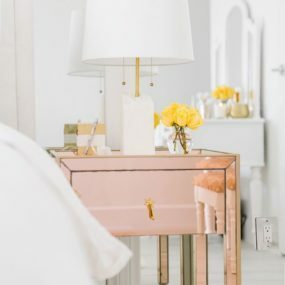 Nightstands just give your bedroom a more organized look, and table lamps go extremely well with them. 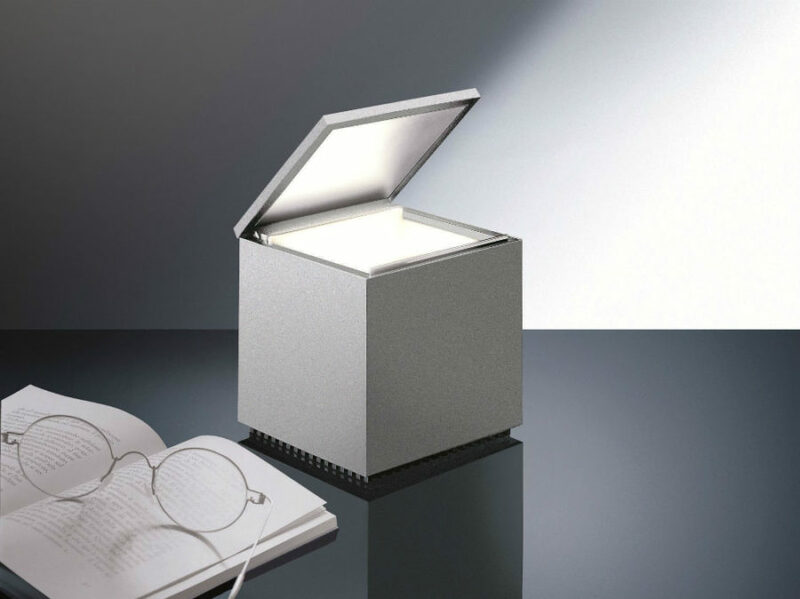 The lights don’t have to have a concrete universal purpose like reading or providing a certain degree of light. They can be anything from gently glowing orbs to fully functional flashlight types. 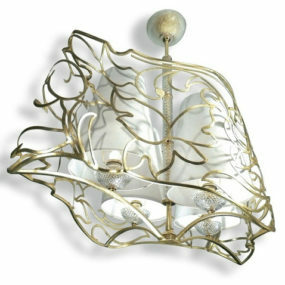 Barely functional but jewelry-like lighting is one of the latest trends in lamps design. Modernism is live as ever when it comes to architecture and design, thank you very much. It informs and inspires tons of designer works. Mayfair lamps by Vibia look like they would beautifully belong in the middle of the last century, but we can equally see them in a more modern bedroom. Clavius is another design that plays well into both eras. Its elegant rounded rectangular form and fabric shade are meant to create a hotel look. 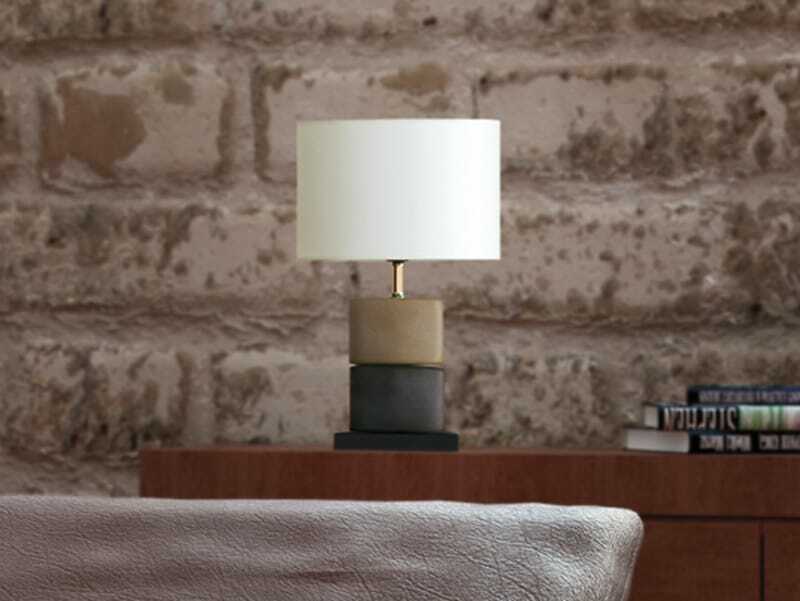 Subtlety makes it a perfect lamp for any table, but a nightstand seems a more fitting place for it. Classic lampshades are still very much popular in decor in general. They instantly give the place that sense of an elegant home. Montreal table lamp is a throwback to that classy traditional style that you can definitely reuse in a contemporary context. 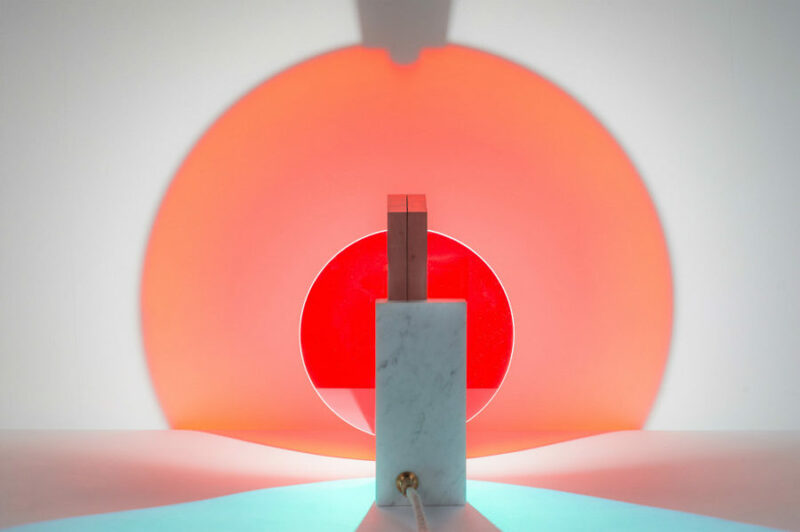 Playfully toy-like Line lamp is a way to go retro without overcommitting. Its simple shape and design makes it fairly versatile and easy to implement. Equally fitting for a kids room, this little lamp is a decor accent that isn’t too out there but is also able to fill up blank space. 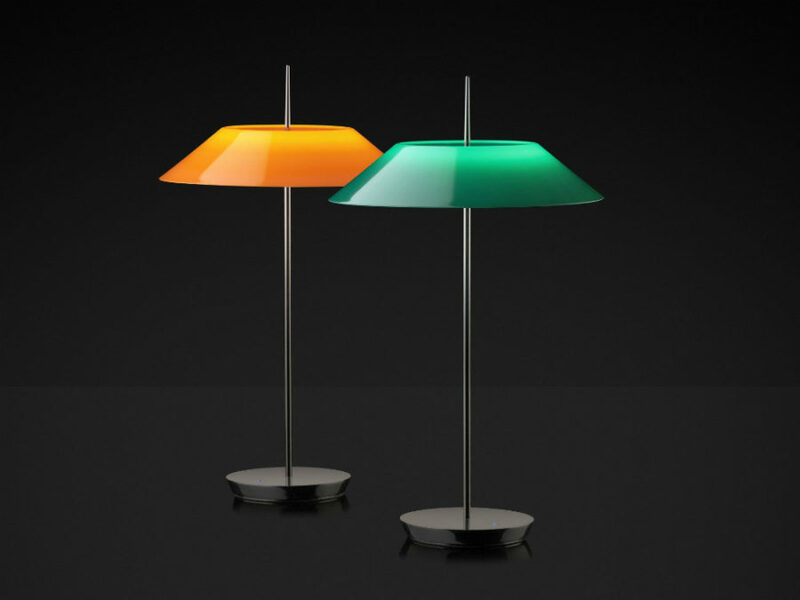 High-tech lamps aren’t just stylized to look futuristic and, well, high-tech. These can surprise you as well as can they give your bedroom that spaceship aesthetic. 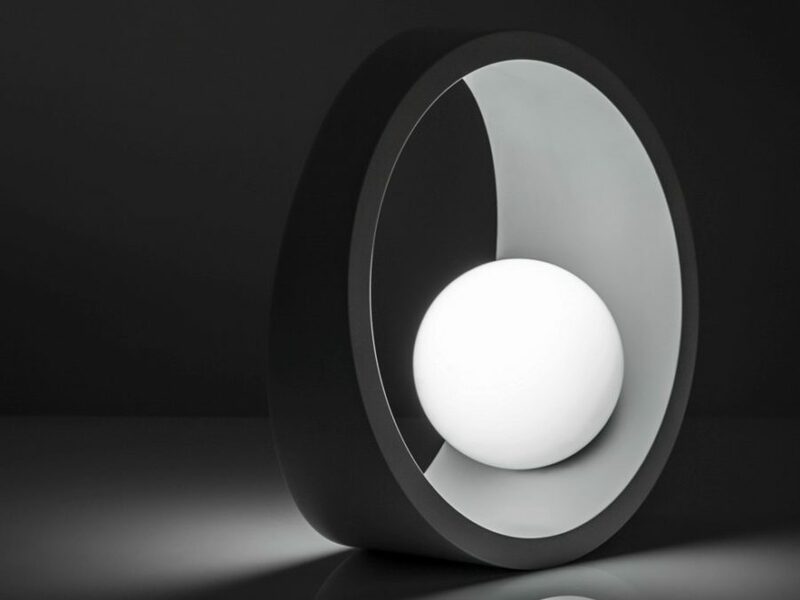 Here’s a lamp that looks absolutely cool in its white painted aluminium body with a LED orb sticking to its inner side. 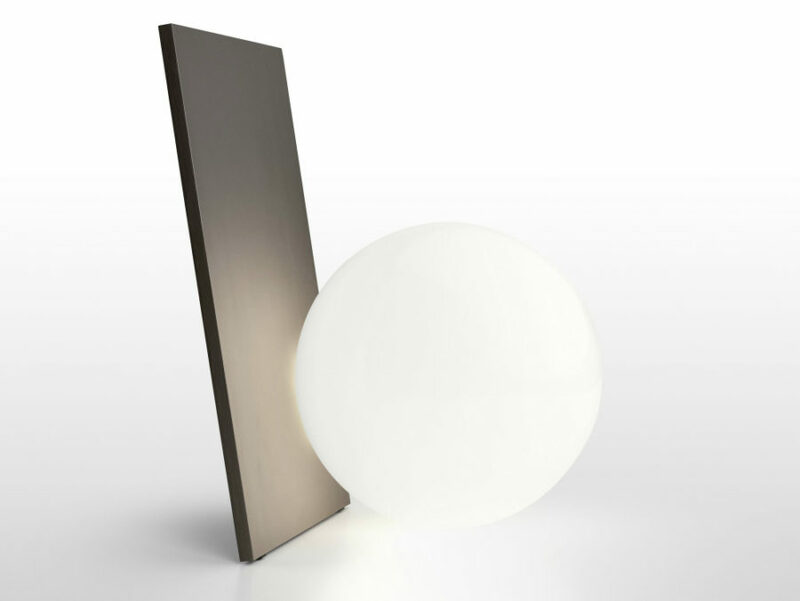 Heng Balance is a lamp that won a 2016 Red Dot Design Award. Built out of wood and a couple of magnets, it’s an unlikely candidate for a high-tech design, but once you get how it works, it seems like an out-of-space idea. The two wooden balls inside the frame of a lamp aren’t mere decorations. Equipped with magnets the two keep the lamp lit. When the lower ball goes down, the lamp turns off. 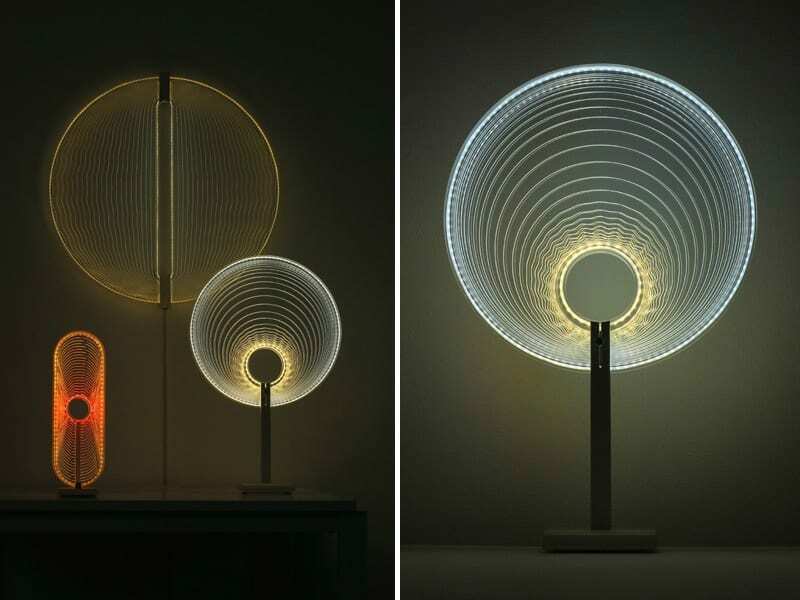 Thanks for the Sun is a series of brilliant luminaires designed by Arnout Meijer. Built as a series of light-emitting screens, they allow users to regulate temperature and intensity of the light during the day. Help yourself relax with a dim glow of one of the gorgeous lamps, drifting into the thought of space and, eventually, dream. NÓN LÁ – T has more of an aesthetic than tech, but it looks nothing like the night lamps you see on the market. Sleek and unique, it’s meant for a masculine interior made of dark shades. 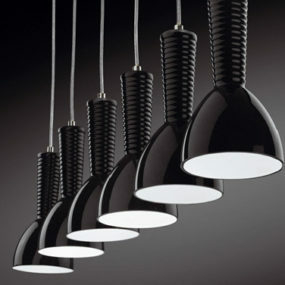 Minimalism in lighting leads to very sleek and contemporary-looking designs. 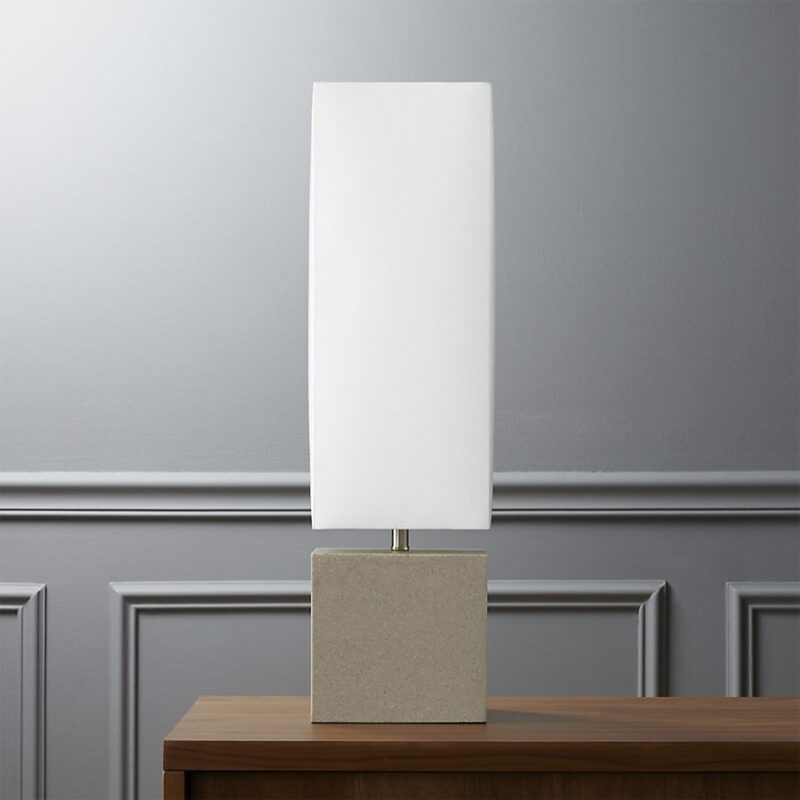 If you don’t like the fluff of traditional lamps, then you will find minimalist lighting refreshingly elegant. Extra T is not simply a white orb that you can find in any home decor store. It extends the effort, but does not go too far away with it. Looking like a lab magnifying glass, Discus is a study in form. Consisting of the two circles connected by a line, it surely looks more impressive than it sounds. A marble stand may look a bit much in comparison to the metal frame and white glass, but that’s the trend. 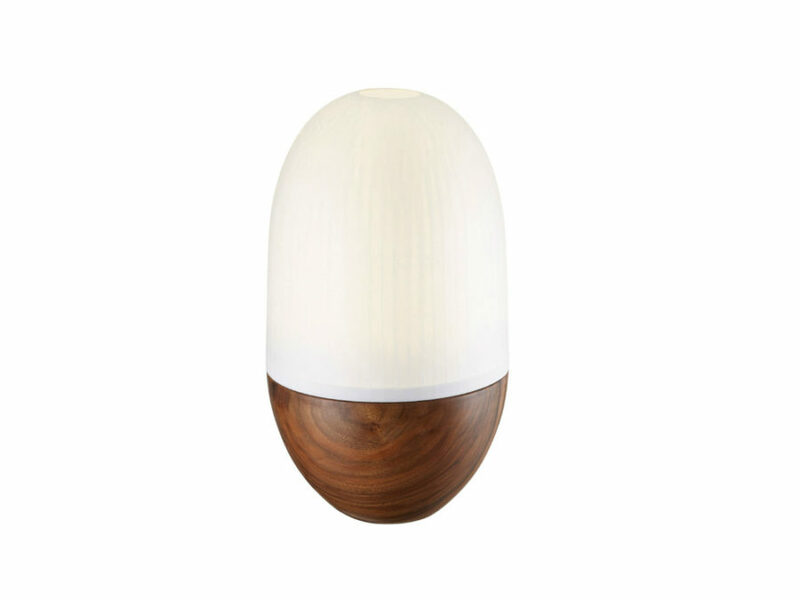 Modest but elegant Ving is a perfect light for any room that wants to make a statement without drama. Its textured wooden base is classy like that. 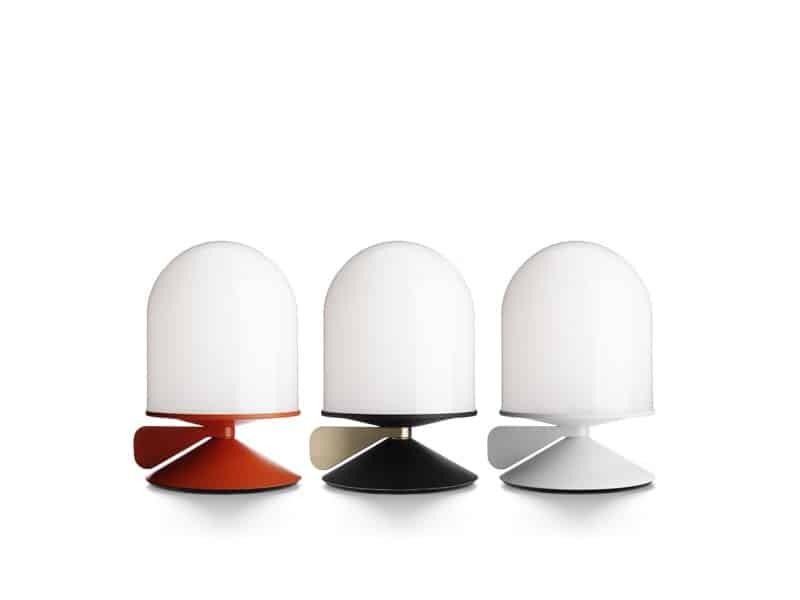 Unusual shape also allows it to occupy less space on an nightstand, thus looking like one of the fashionable accessories rather than just a lamp. Find marble too overused? Concrete may also be a big favorite among designers but lighting hasn’t seen as much of it yet. Aggie looks like a masterful combination of materials that are too at odds with each other. Thanks to its laconic design, though, it looks way too sophisticated than it has a right to. Those classic lampshades still get the love, and with the way they are designed today, it’s not hard to see why. 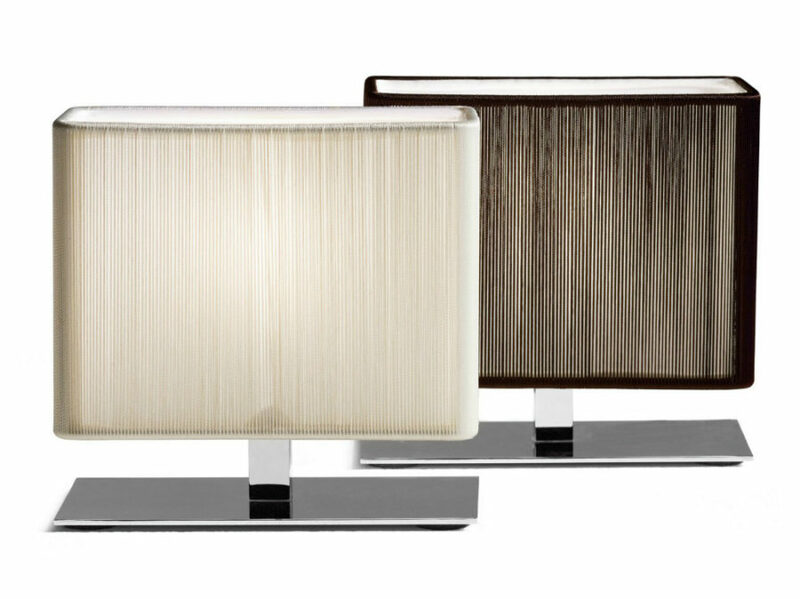 Abalone Buffet Lamp combines two modern design sensibilities – glitz and drama. 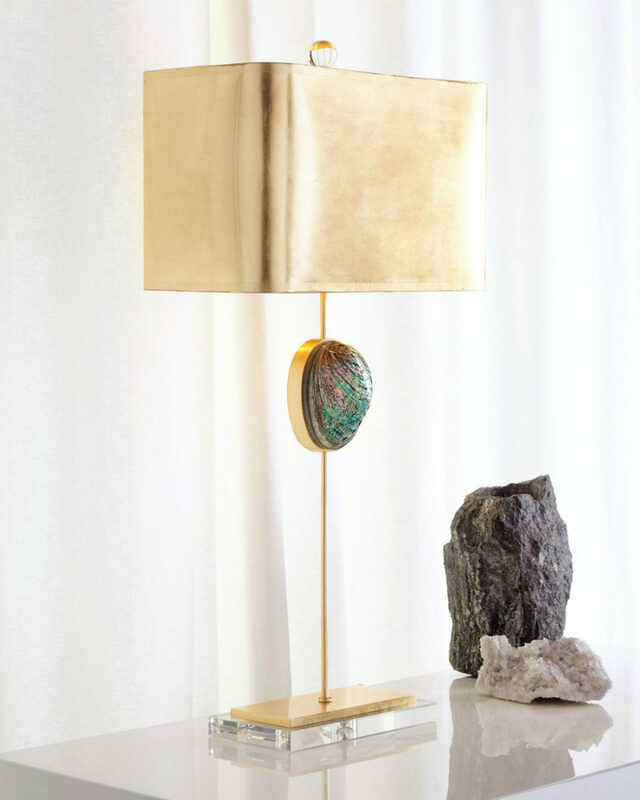 Designed in iron and wood, the lamp has that trendy gold-leaf finish, and bears a colorful stone accent to boot. Speaking of stones, agate is making waves in design with its unique discoloration patterns and free-form shape. 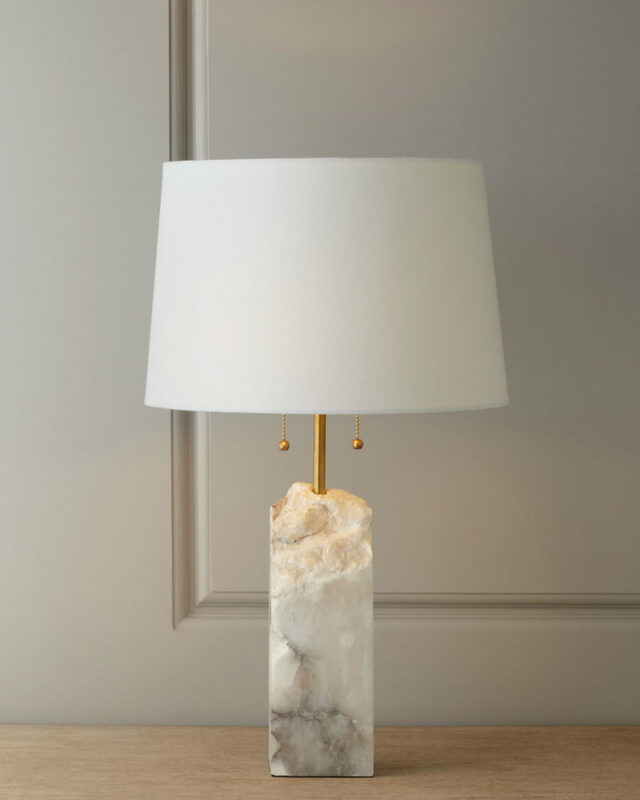 Here is a classy lamp shade that puts all of its stock into this stone and wins from it. When it’s on, it is the thin disc of agate that glows with warm yellow light. This list wouldn’t be complete without a marble lamp. 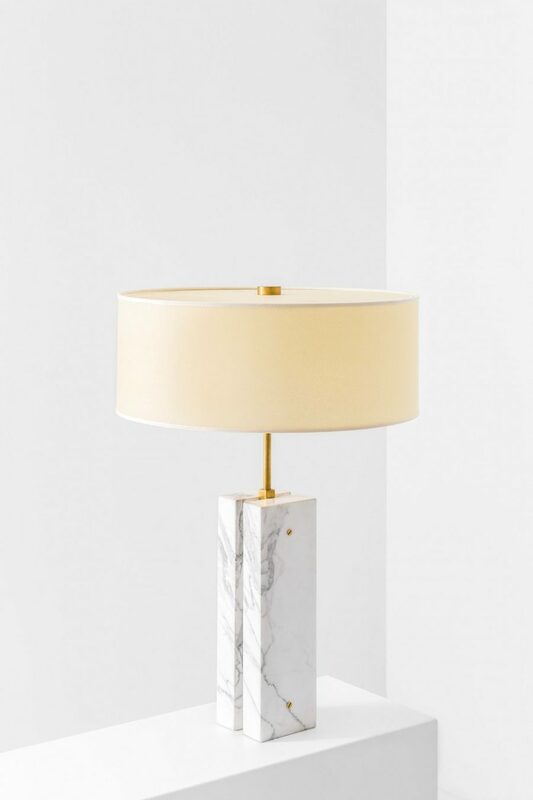 And while there are plenty of those out there, here is an example of how a classic lamp shade can get instantly modernized with a marble stand. 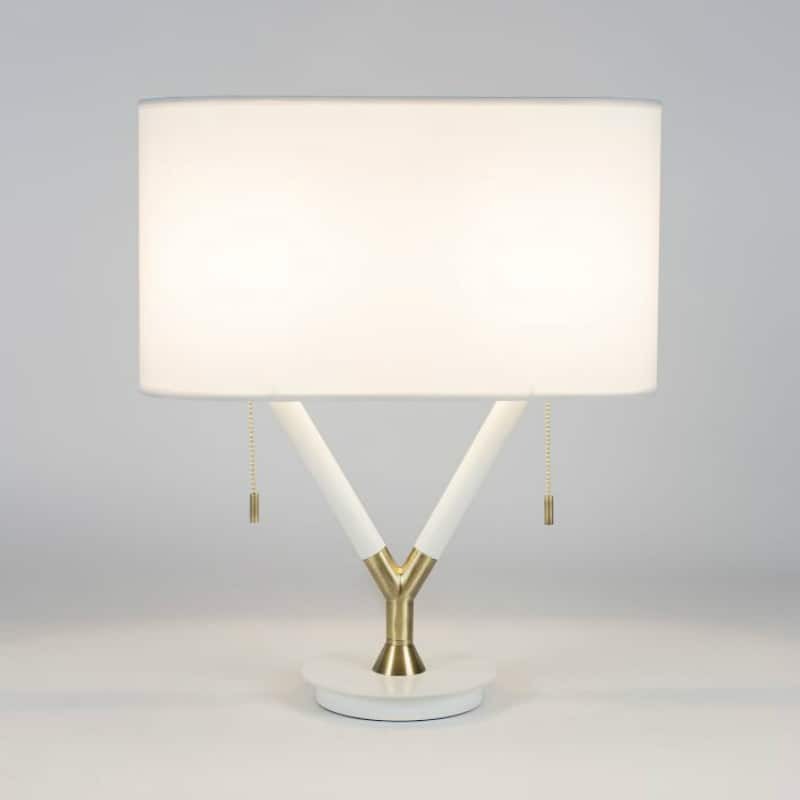 Add brass details to it, and it could be the original retro lamp, it’d still work in a completely contemporary interior today. Marble and agate while popular aren’t the only precious organic materials you can see in design. Any type of crystals can rival the looks of those two. 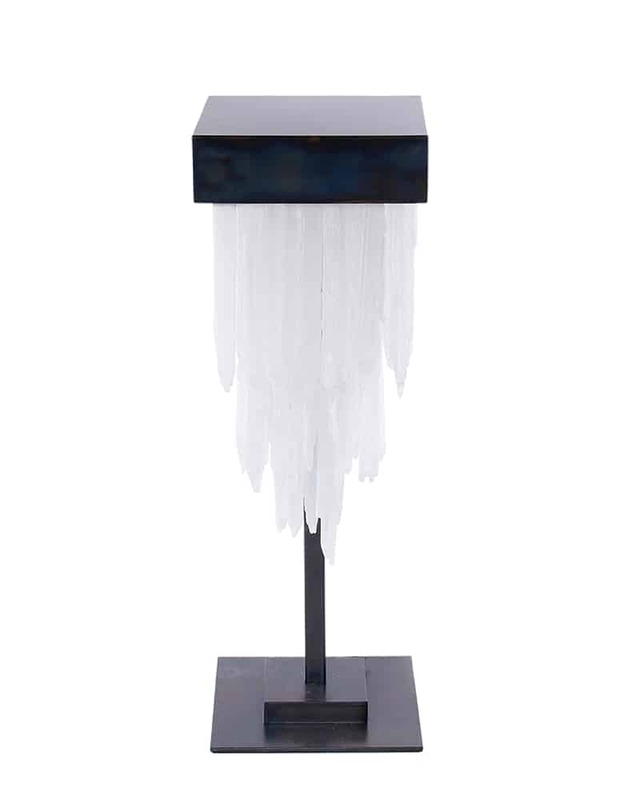 Cravt Original used selenite to create a laconic (even Art Deco) night lamp. Metallics truly take lighting to the next level, turning it into interior jewelry. Copper, bronze, brass, gold leaf, and even silver make for fashionable accents. 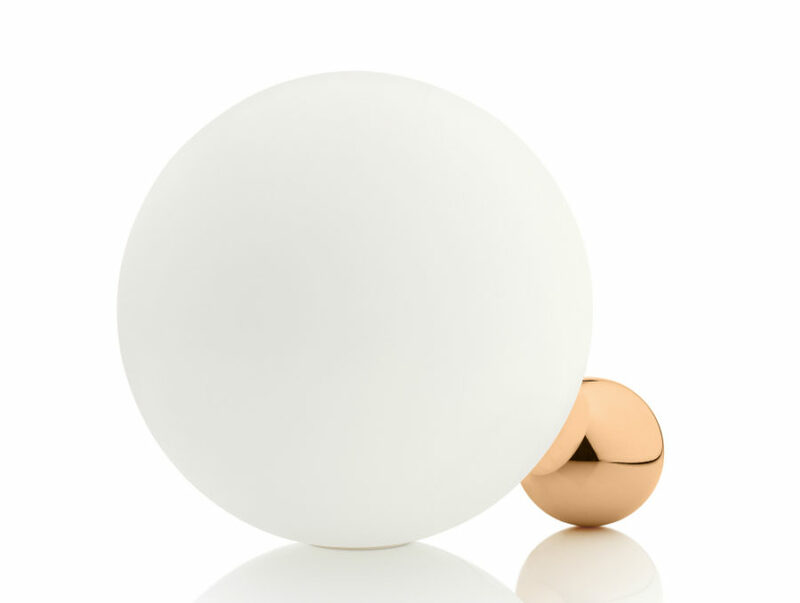 Lanterna is a completely contemporary product with its marble stand and rose gold adjustable body. 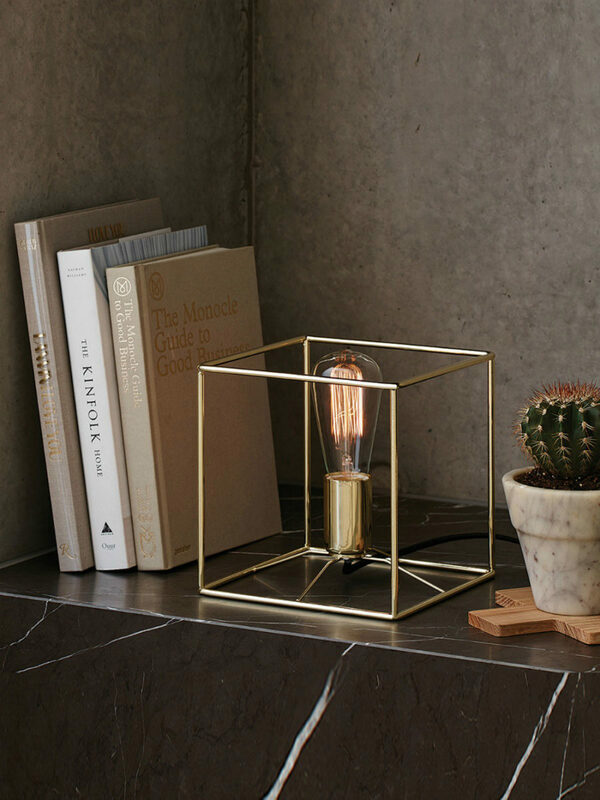 Combining the modern square shape and a decorator favorite Edison bulb, Itlas 1 lamp puts a finishing touch on its modern design with a brass finish. Certainly a desk staple, it looks equally great on a display shelf, so why not try the modern bedroom nightstand? Again, there are many places where you can find a plain white orb night lamp, but what would it bring to the picture? 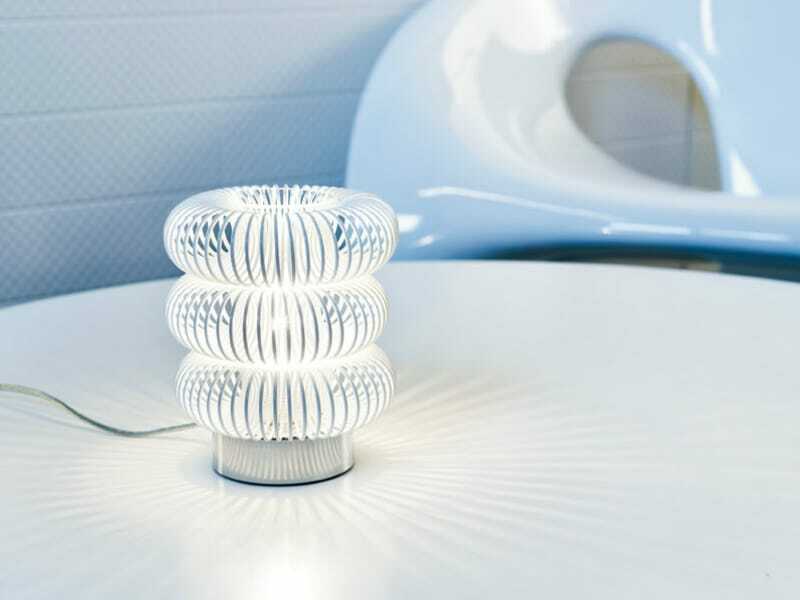 Here is a Copycat lamp that takes a form of a trendy earring linking two spherical shapes into one design. Laconic and interesting. What can be more fashionable than feathers? Metallics outfitted with feathers, that’s what. 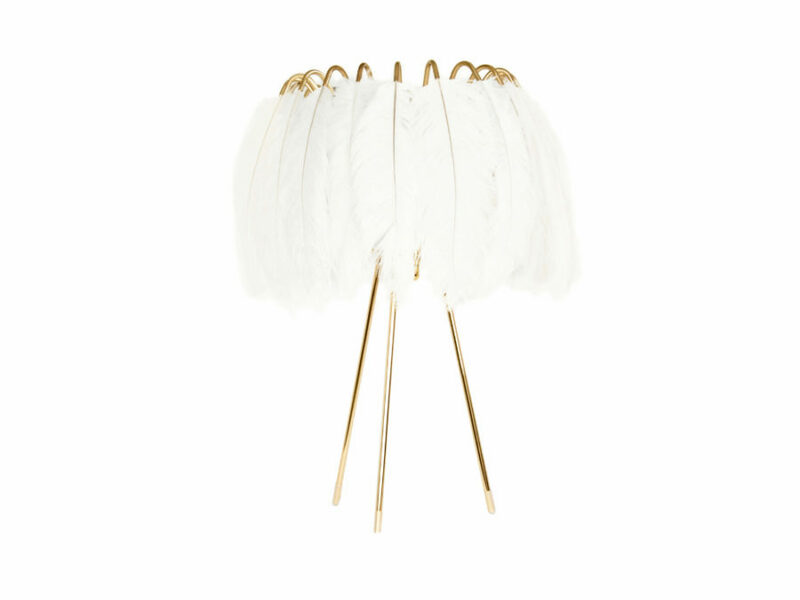 Case in point – Feather lamp by Mineheart. 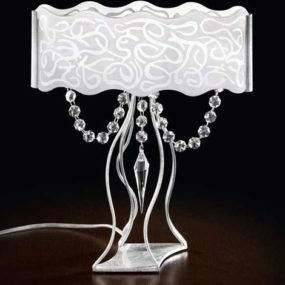 This is probably the most fitting lamp for a bedroom that seeks to express its owner’s sense of style and love of fashion. And we’re back to classy lamp shades because they just really are a classic. 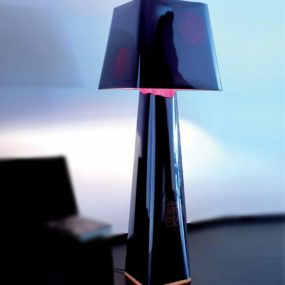 It is one of the first shapes you probably think of when your thought trails to table lamps. Split Deco makes a great endeavor to break away from the shapely or boring straight stand. Its Y-shaped leg looks unexpectedly fresh and yet elegant. Regina-Andrew Design went for the fresh reinvention of the leg as well. 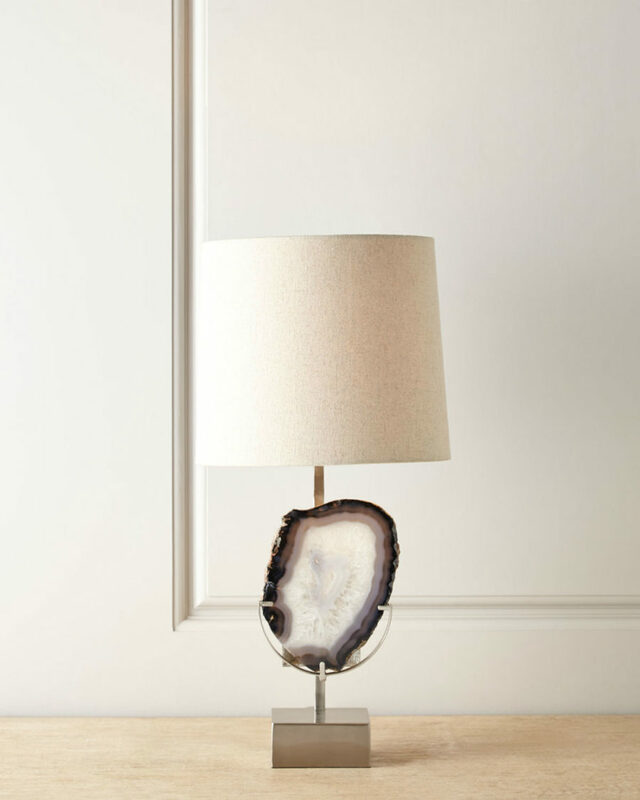 Made of actual raw alabaster, the stand looks aged and crumbled opposed to the flawless linen shade. Brass works incredibly well with marble, and since it’s somewhat similar to alabaster, the latter benefits from it as well. 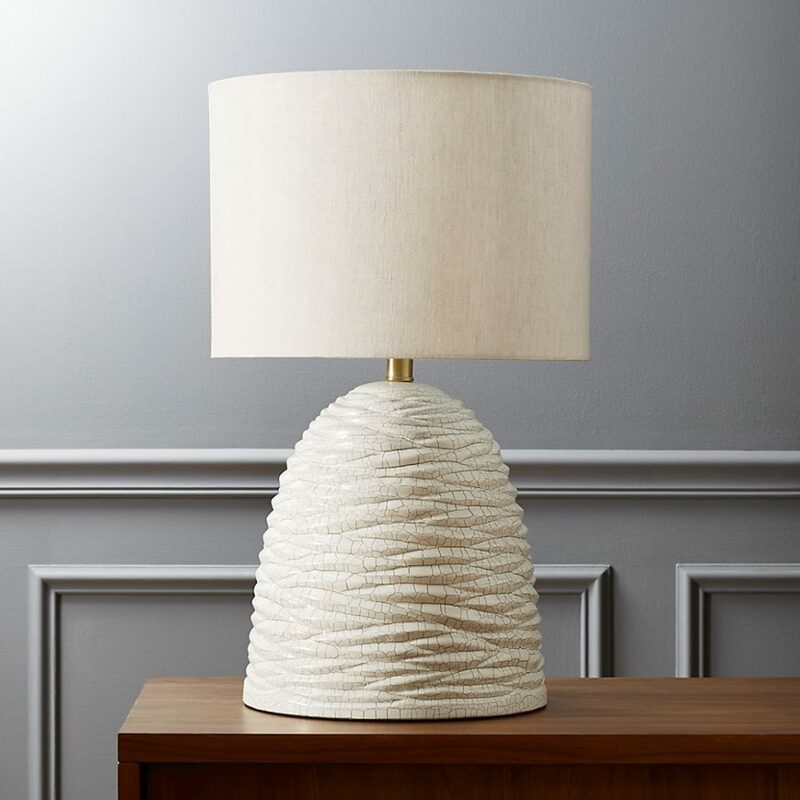 Beehive table brings even more drama into the classic table lamp shade design. 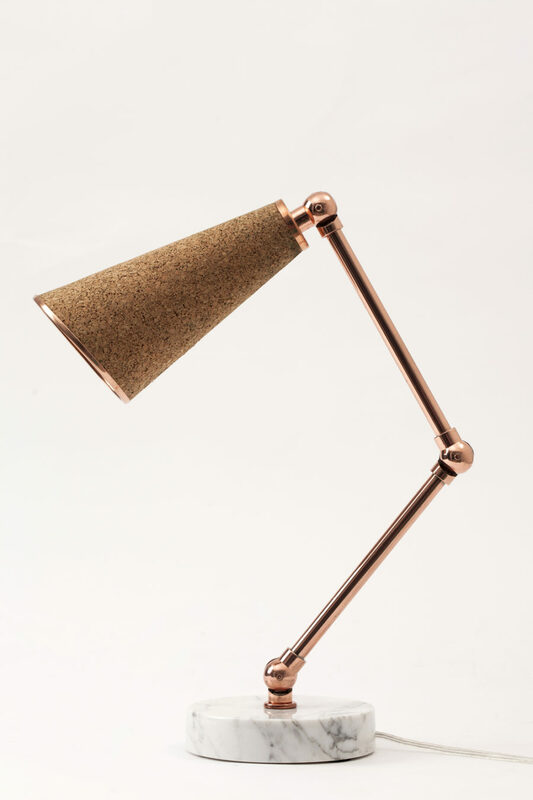 Crackled white finish looks nothing but glamorous, and combined with brass, it makes for one interesting lamp. 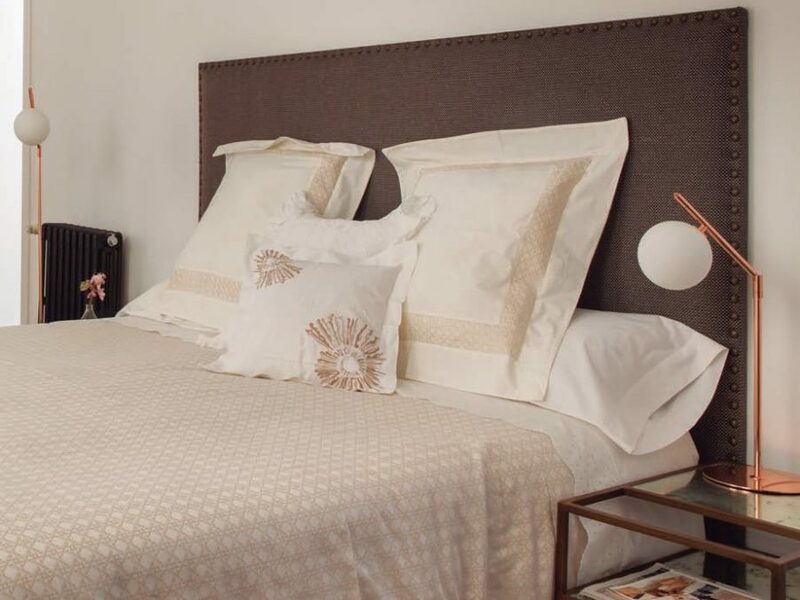 The classic white linen shade warms up with the light yellow glow. Minea Petit is another case of combining the recognizable classic shape with something new. The two tone tube-like parts of the stand give enough contrast to the ivory shade, while the brass detail glams it up. 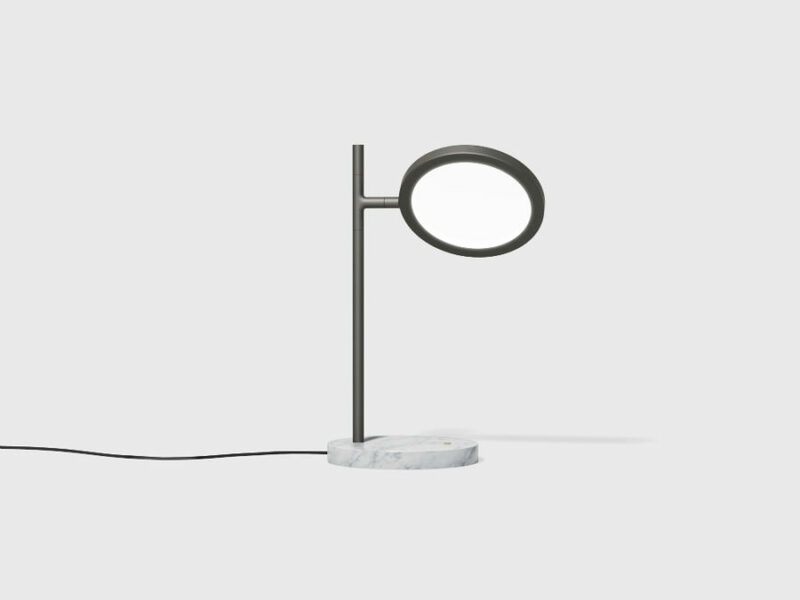 While some designers try to reinvent a classic table lamp, many others try to break away from it almost completely. Optical illusion has become one of the ways to do it. 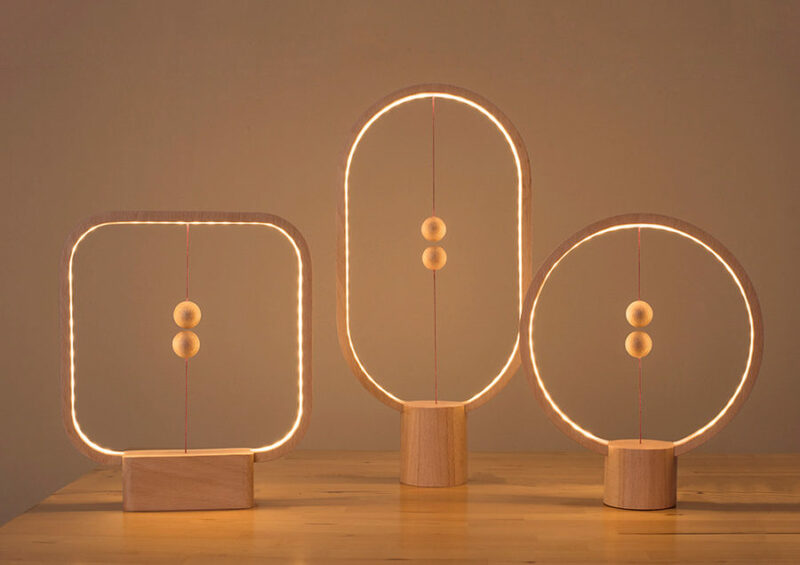 Here is an effort by Studio Cheha that looks like pure light held in place by a simple wooden stand. 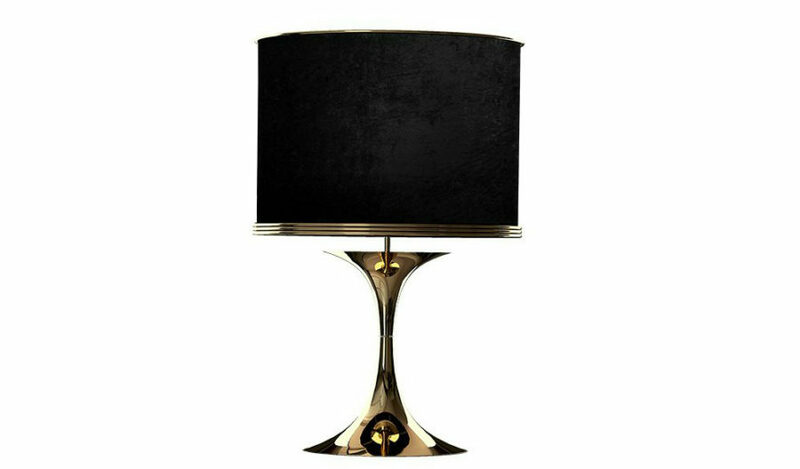 Black by day, Solace Capiz lamp lights up with a glamorously golden yellow in the night. 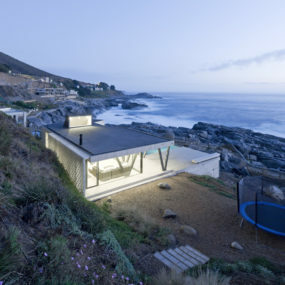 Its unusual glass-stained shape truly captivates gaze regardless of time of day. A secret trap door at the back allows access to the light bulb. And when not in use, it may easily pass as a fancy competition trophy. 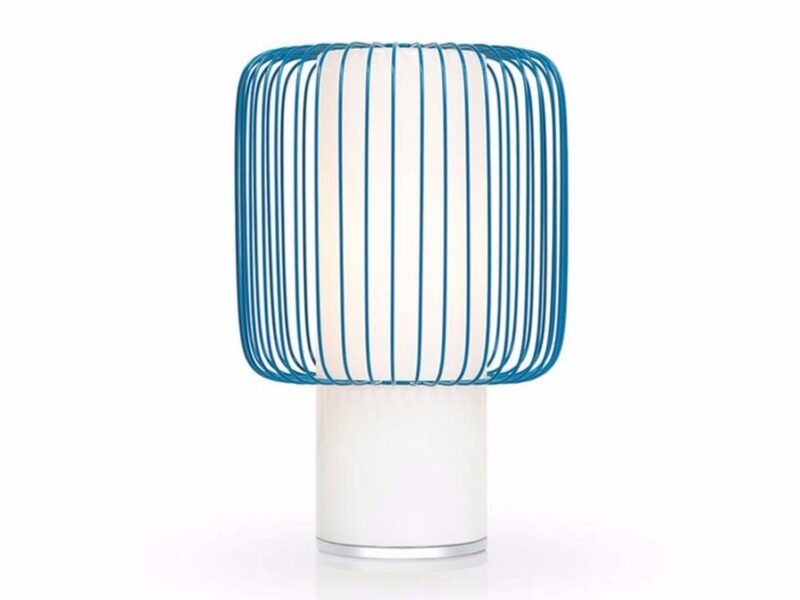 Simple and playful makes for fresh and unexpected in case of the Spring Co lamp. Looking like a toy or a lamp built from them, makes it stand out in the sea of brass and marble. This energy-saving light doesn’t look like much in daylight. 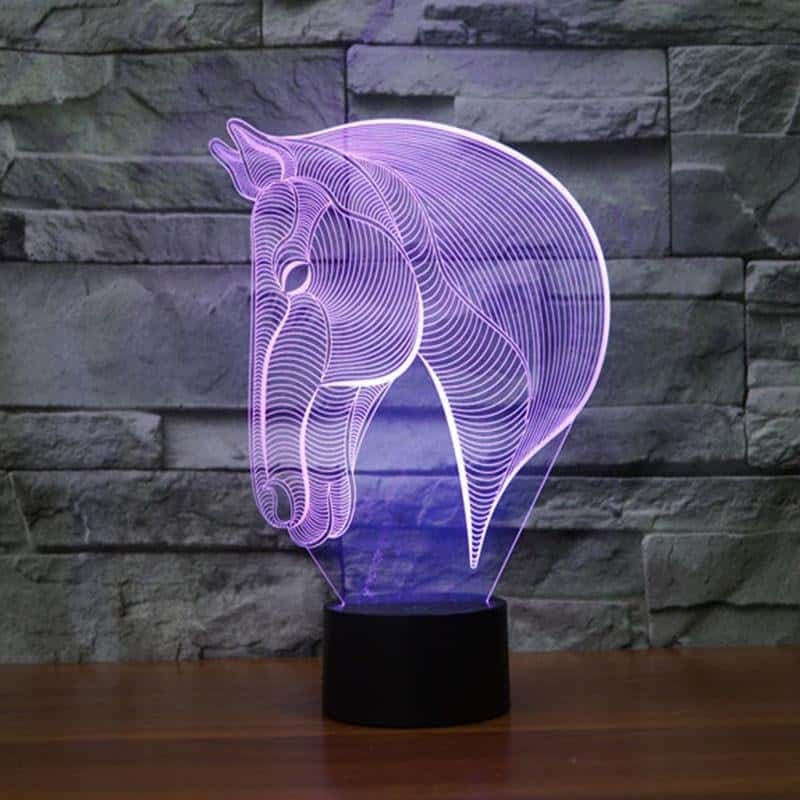 During the night, however, it projects a beautiful image of a horse in seven different colors. Unique shapes and designs don’t automatically render all simpler ideas less interesting. 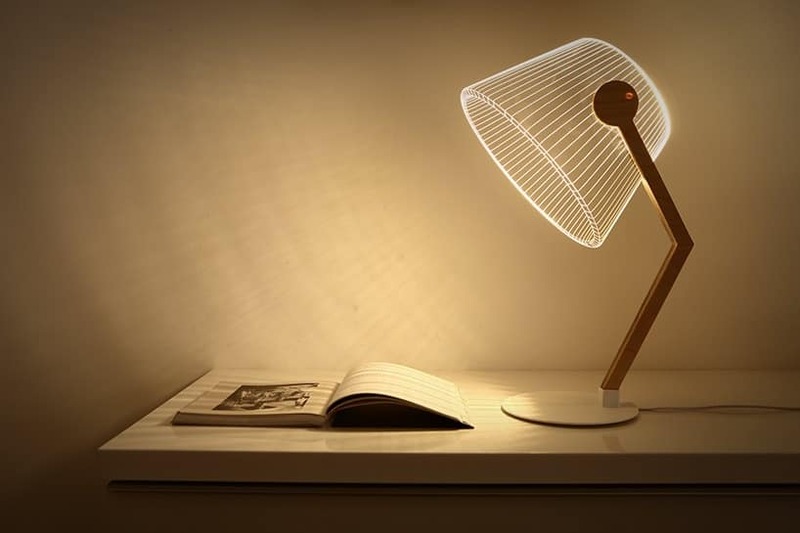 Here is an entertaining lamp that is as interesting to look at as interact with it. Vinge has a special regulator wing that allows to dim or brighten the light as necessary. 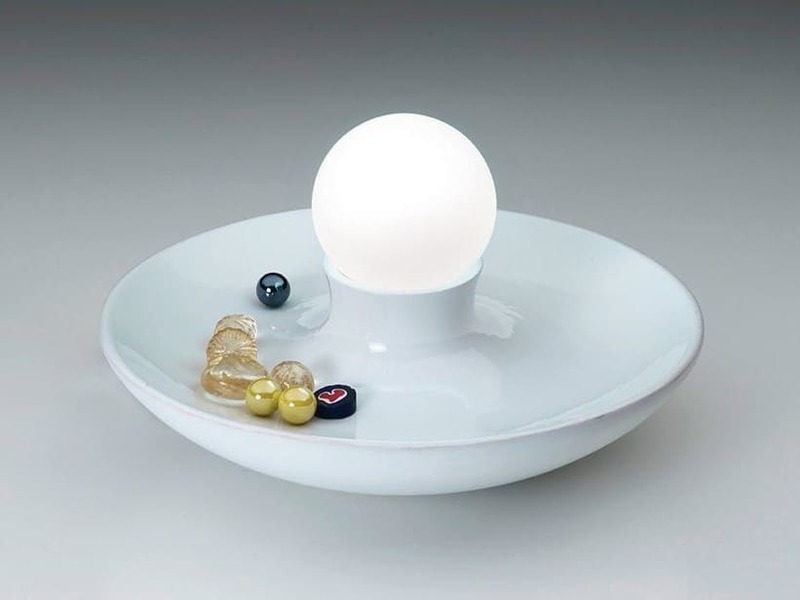 Boleto combines two simple things to create an unexpected design – a pin tray and a light bulb. Together it’s a useful hallway or bedroom pocket emptier, that illuminates your path during the darker hours. With Cuboluce no switches are necessary. Just open the lid, and you shall see the light. Perfect for reading, and amusing the kids. Live-edge trend didn’t pass lighting by. There are tons of ideas out there, but this particular one is simply cute. 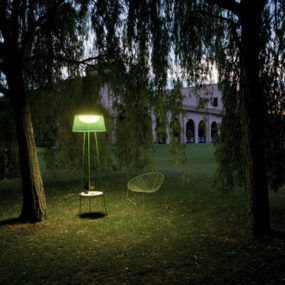 You can find many more interesting ideas among the modern night lamps. Aside from table lamps, there are lots of reading lights and wall sconces to wade through.